In case you didn't know, Wolfenstein II: The New Colossus is out now. Thanks to Blue's News for the reminder. 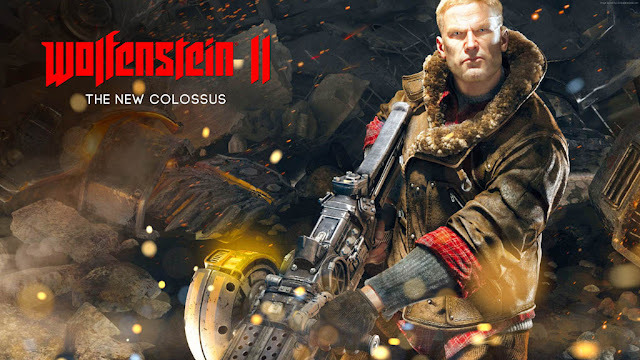 Bethesda Softworks®, a ZeniMax® Media company, today announced that Wolfenstein® II: The New Colossus™, developed by the award-winning team at MachineGames, is available now for the Xbox One, PlayStation® 4 computer entertainment system and PC. Wolfenstein II: The New Colossus rockets the action and chaos of the Wolfenstein franchise to new heights. As BJ “Terror-Billy” Blazkowicz, players must unite a rag-tag group of resistance fighters all striving toward one common goal: kicking Nazis out of America.